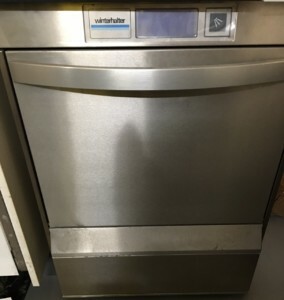 Commercial dishwashers effectively wash & rinse at a higher temperature than the human hand can tolerate, meaning that a higher degree of hygiene is achieved. 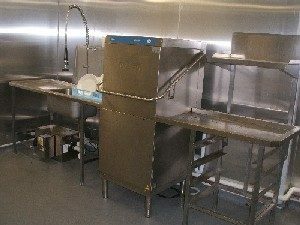 This can be vitally important in helping your restaurant to maintain its high standards in terms of food prep, service times, and hygiene levels. 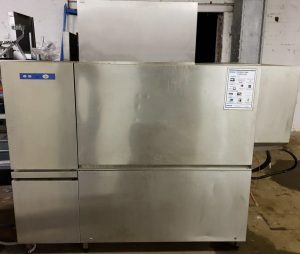 We can supply second hand and reconditioned commercial dishwashers, pass through dishwashers and heavy soiled utensil washers at up to 60% off the usual retail prices. 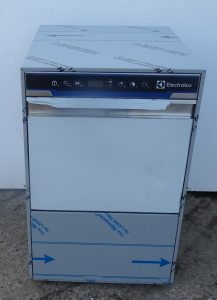 Catering Dishwasher – there’s one for every restaurant kitchen! When you own a restaurant, the prime focus is to cook scrumptiously good food. But that’s not the only thing to keep in mind. 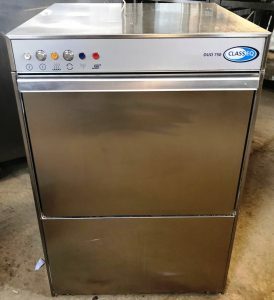 You need to be really good at keeping the kitchen clean with a Catering Dishwasher, while serving a virtually countless number of customers. And, the one thing that easily put a negative impact on this is the count of dishes, glassware and accessories that you have in the kitchen. It is quite obvious that you cannot have an infinite supply of these accessories. 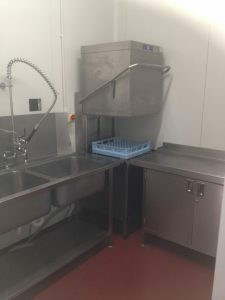 This is where Catering Dishwashers come into the picture. 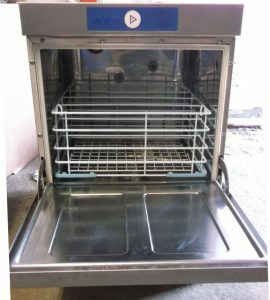 The problem that you might find yourself stuck in here while opting for commercial dishwashers is – which one is the best for your kitchen? Considering the fact that there are so many different options available, in terms of looks, space and functioning, it becomes quite important for you to choose with care. 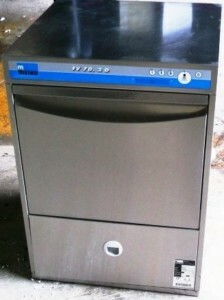 Commercial dishwashers are available in low-temperature and high-temperature variants. 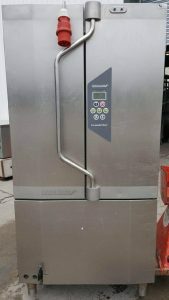 While low-temperature machines operate between 120-140 degrees Fahrenheit, the high-temperature ones operate between 150-180 degrees Fahrenheit. 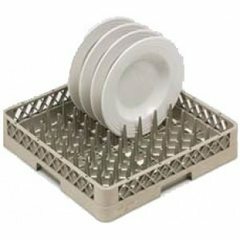 The benefit of the former latter ones is that they don’t require you to go for an additional sensitization of the dishware, whereas in case of the former ones, you need to add another additional step of using chemical sanitizing agents to ensure complete cleanliness. 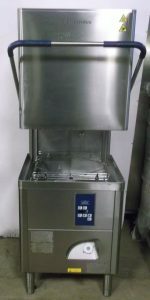 Although the initial cost of high-temperature equipment might be a little more than low-temperature ones, in the long run the former ones prove to be more cost effective. 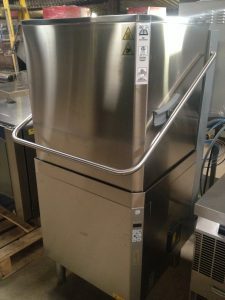 The second important factor to consider is whether you need commercial conveyor type dishwashers or regular door type one. 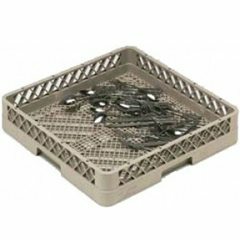 The basic difference between the two lies in the fact that conveyor type dishwashers require a lot of space, and are generally a good fit for larger kitchens. The door type is generally more suited to smaller kitchens. 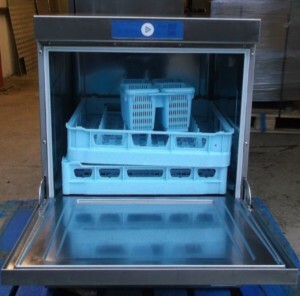 If we compare by mere volume of dishes cleaned in the two, a conveyor can generally clean up to 1000 racks per day, whereas the smaller door type one could function well for up to 350 racks per day. So based on the size of your kitchen and the number of guests that visit every day, you could eventually make the choice. 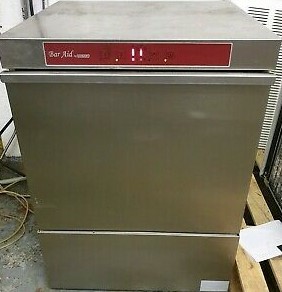 The last, but certainly not the least type of dishwasher that you need to check out is the undercounter variety. If you run a compact kitchen, it is the perfect option for you. These machines can quickly operate 20-30 racks of glasses and dishes simultaneously, making them a perfect fit for areas such as bars. 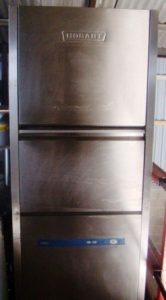 Having a single door for their operation, these are quite similar in terms of their look to the regular domestic dishwashing machines. Being available in both low-temperature and high-temperature variants, and having a compact size these are a great fit for kitchens that are a little cramped up for space and need regular supply of clean glassware. 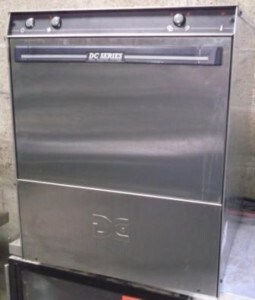 Those were the topmost options that you can have when choosing commercial dishwashers. 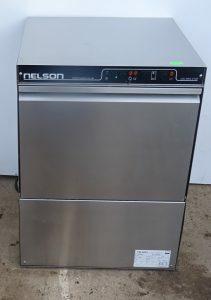 If you are a little short on money, then it is always a great idea to have a look at second-hand dishwashers. 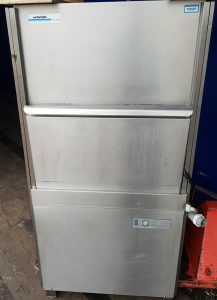 There are plenty of good places out there where you can get great quality second-hand commercial dishwashers. 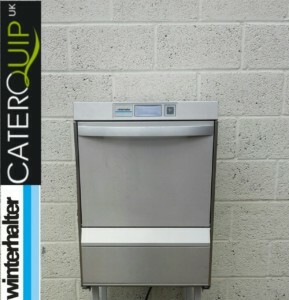 For instance, you can visit Caterquip – one of the leading marketplaces to get the finest catering equipment such as commercial dishwashers, combi ovens, Bratt pans and what not. You can eventually visit their website to get a closer look at what these professionals have to offer. 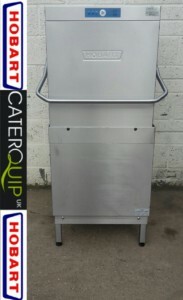 We promise that you will be overwhelmed to see the never-ending range of commercial catering equipment that is available on the website. You will be able to eventually find everything that you can ever ask for your restaurant business. 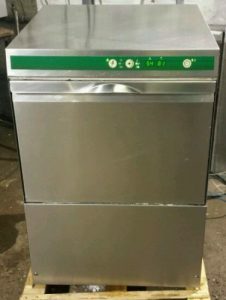 Visit them now to see what they have to offer for you..
Now that you know everything about these commercial dishwashers, the way they operate and different varieties in which they are available in the market, we are certain that you would be tempted to bring one home for your commercial kitchen as well. 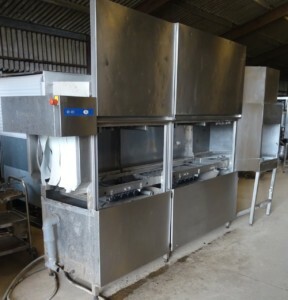 Even if you are still a little confused on whether to buy one or not, we would recommend you to take a look at the equipment in person and see how they are proving to be a blessing for people involved in the food industry. So, what are you waiting for? 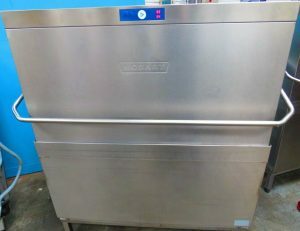 Go ahead and take a look at these commercial dishwashers, and see what they can bring to your kitchen! When you own a restaurant, the prime focus is to cook scrumptiously good food. But that’s not the only thing to keep in mind. 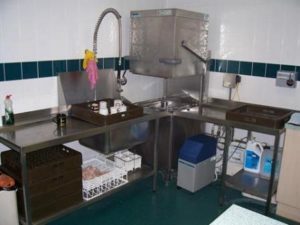 You need to be really good at keeping the kitchen clean while serving a virtually countless number of customers. And, the one thing that easily put a negative impact on this is the number of dishes, glassware and accessories that you have in the kitchen. It is quite obvious that you cannot have an infinite supply of these accessories. 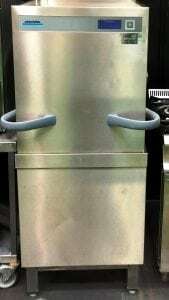 This is where Commercial Dishwashers come into the picture. 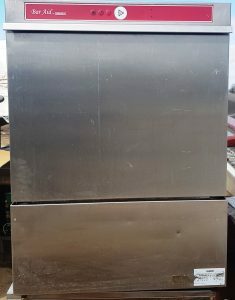 The problem that you might find when looking for a commercial dishwashers is – which one is the best for your kitchen? Considering the fact that there are so many different options available, in terms of looks, space and functioning, it becomes quite important for you to choose with care. 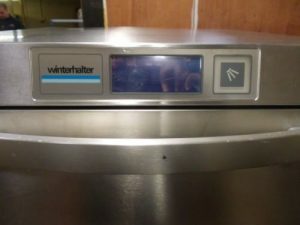 New, Second Hand Or Reconditioned Dishwashers – Which is Best? 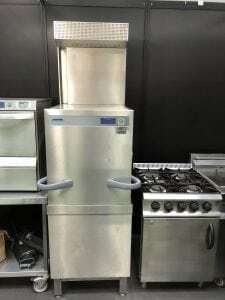 When you’re looking to buy catering equipment, it may quickly become clear that some catering equipment is rather expensive. 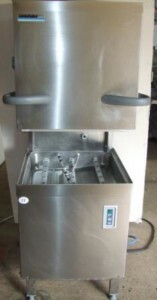 While there are many buyers who won’t be put off by this, more savvy shoppers would do well to explore the possibility of purchasing second hand or reconditioned catering equipment – particularly second hand or reconditioned dishwashers. 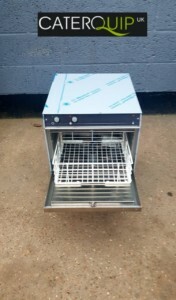 And where you find a place which sells high-quality second hand and reconditioned commercial dishwashers? Well, you’ve already found us! 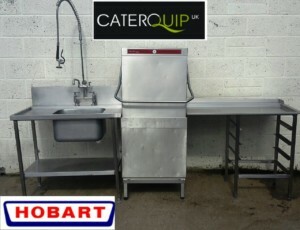 We have a track record of providing quality second hand catering equipment which goes back over 20 years, and we are the largest provider of second hand catering equipment in the whole of the United Kingdom. We’ve worked with clients from all walks of life, and generated many, many hundreds of satisfied customers over the years. But if our long history and large portfolio of happy customers isn’t enough to give you peace of mind, then you’ll be pleased to know that we offer a 3 month warranty on all of our goods, meaning you can buy in confidence! Call 01733 286 000 now to speak to speak to our helpful and friendly team. 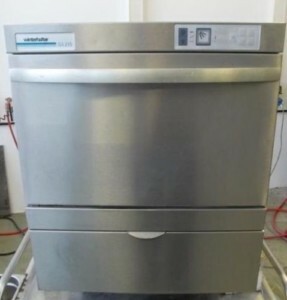 Those were the topmost options that you can have when choosing commercial dishwashers. 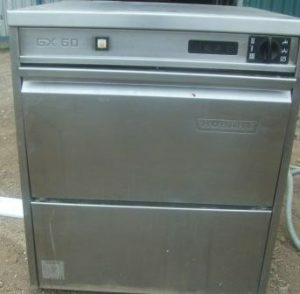 If you are a little short on money, then it is always a great idea to have a look at used dishwashers. 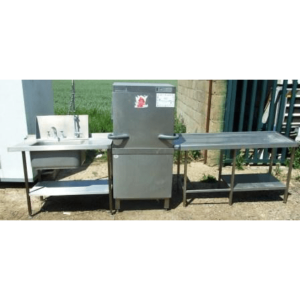 Even if you are still a little confused on whether to buy one or not, we would recommend you to take a look at the equipment in person and see how they are proving to be a blessing for people involved in the food industry. So, what are you waiting for? 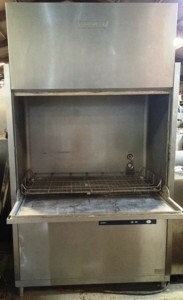 Go ahead and take a look at these second hand commercial dishwashers, and see what they can bring to your kitchen!